Leatherwood is a small North American tree of the mezereum family, with a tough, flexible bark used by the Native Americans for making rope. This branched shrub grows 1-9 feet. Branchlets pliable, smooth, jointed, bark is very tough. Leaves oval to obovate, on short stalks. 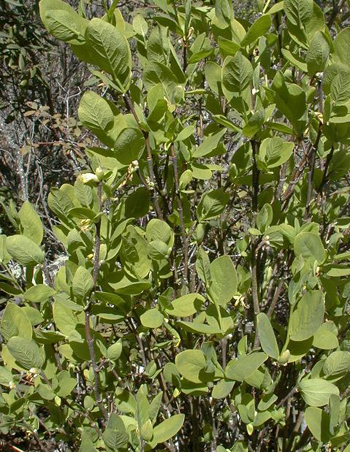 Yellowish, bell-like flowers appear before leaves. April to May.